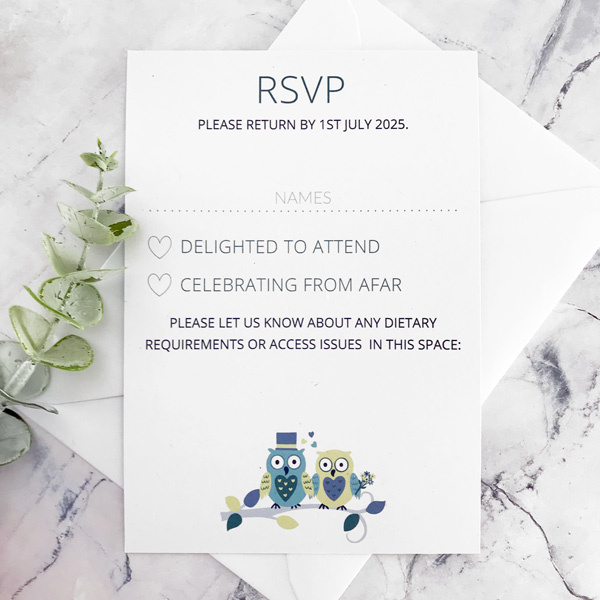 These Owl themed wedding invitations are A5 size (14.8 x 21 cm). The accompanying RSVP cards are A6 size (10.5 x 14.8 cm). 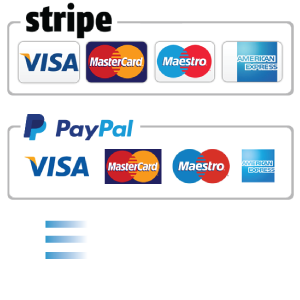 Both are made from high-quality white or ivory card with a smooth or hammer finish. 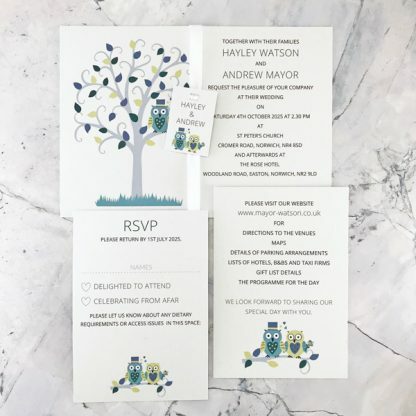 They are printed using pigment ink, which is designed to be smudge proof and splash proof. The Owl design, which features two cartoon style owls sitting in a tree, is based on two colours. 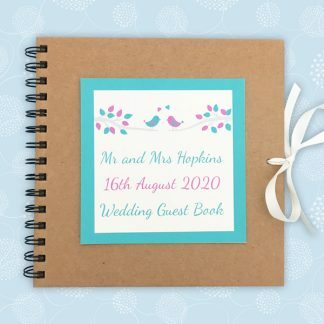 Colours can be viewed on the wedding stationery colours chart. 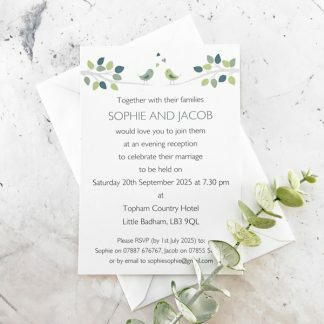 White or ivory ribbon is used as standard for the tag, but there are a range of colour options available. 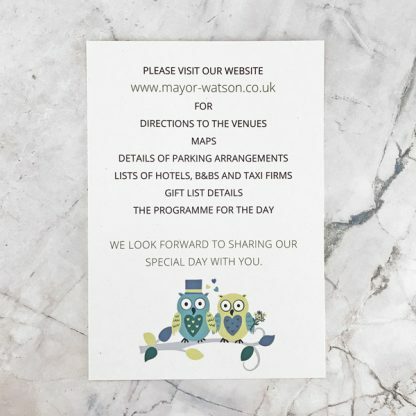 The owls are dressed as a Bride and Groom, but you can have two Brides, two Grooms or non-wedding themed owls instead. The layout of text on the Owl wedding invitations with RSVP will be tailored to suit your wording. I am happy to provide advice about wording. 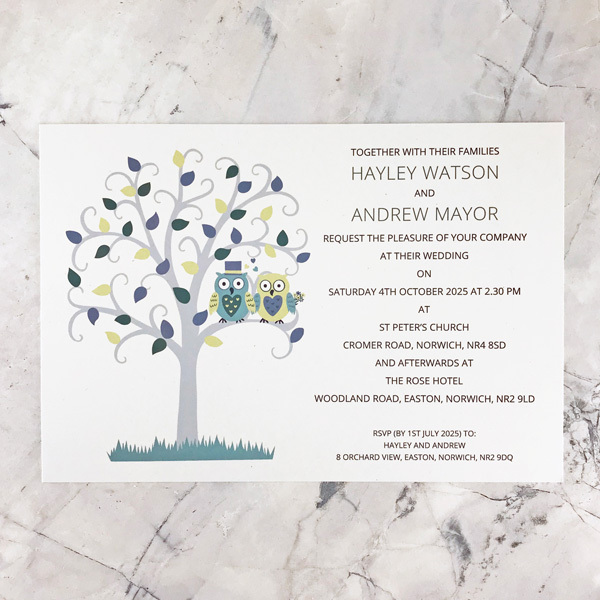 The Owl design is also available on a concertina wedding invitation and small evening wedding invitation card. 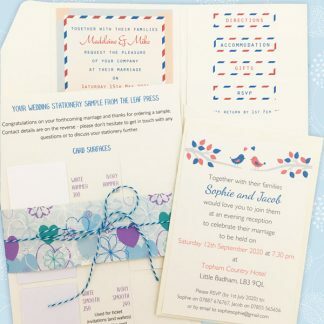 There is also a full range of co-ordinating stationery to use on the wedding day to match Owl wedding invitations. This includes orders of service, menus, table names, place cards, seating plans, guest books and thank you cards.